Congratulations on your engagement! We are so excited to help you through this wedding planning journey and provide all the tips, tools, and resources to help you plan the wedding of your dreams! If you’re familiar with our 12-month wedding planning timeline, this is essentially the same timeline but with a shorter window for research and budget setting. But, don’t worry, you’ve totally got this! These 10 months will go by before you know it, but with this handy guide will make sure you don’t miss a beat — from the very first stage of setting your budget to hiring your vendors to tying up loose ends after your honeymoon. Happy planning! This first month is when you’ll lay the foundation for all your wedding plans — and ultimately set yourself up for success! We can’t emphasize enough how important it is to start by setting your budget before you even begin to think about anything else. Your budget will help narrow down the list of venues to consider, dictate how large your guest list can be, and help you prioritize what’s actually most important to you and your fiancé. Because talking money has the potential to be stressful, we highly recommend making a date night of it with dinner at home, a bottle of wine, and a totally open mind. Once you hammer out those all-important numbers, you can move on to more fun things, like creating your mood board, touring venues, and researching vendors! The key in this one-month timeframe is to align your values and expectations and do your research so the rest of the planning process can be smooth sailing. You’ve spent the last month setting your budget, creating a vision for your day, deciding who will stand beside you, and doing tons of vendor research. Now, it’s time to start booking! Wedding photographers and wedding videographers book up quickly, so you’ll want to book those two vendors as soon as you’ve decided on them. And, while you’re booking your photographer, make sure to set up an engagement session with her/him. It’s the perfect opportunity to get comfortable in front of the camera, build rapport with your photographer, and document this special time of your relationship! This 8-9 month window is also when you’ll begin to focus on guest-specific tasks, such as creating a wedding website, registering for gifts, and blocking hotel rooms for out-of-town guests. You should also continue to work through your guest list during this time since that tends to be one of the trickiest parts of planning a wedding, and so you can decide if you want to stagger invites as a way to narrow down your final list. You’re officially more than half-way through the wedding planning process — congratulations! Now is the time when most of your details will start to fall into place, so be prepared for a whirlwind of decision making. In the 4-5 month timeframe, you’ll want to set everything up for the rehearsal and rehearsal dinner, including deciding who will be invited so you can prepare invitations. You’ll also want to focus your attention on your bridal look by setting up your first dress fitting and get your groom’s look squared away. As a reward for making so many decisions, now is also the time to eat all the cake so you can pick the perfect flavor(s), as well as start thinking about your bridal shower(s) and the bachelorette/bachelor parties. Decide who you want to invite to each occasion and then start putting together inspiration to create your perfect party looks. At 3 months out, it’s time to cross off some of those tiny details that can easily get overlooked, such as buying your wedding rings, finalizing your food and printing menus, and ordering favors. Trust us, you’ll be glad you got these little things out of the way all at once so you can focus on bigger details in the coming months. Since there are fewer big-ticket items to book or buy, this is also the perfect time to plan out your wedding ceremony. Schedule a night to choose your ceremony readings together. Find readings that speak to you as a couple and reflect your feelings about love and marriage. Then, when you meet with your officiant to plan the rest of the ceremony, discuss other ways you want to make your ceremony personal, and ask for advice if you’re feeling stuck. The ceremony is, after all, the most important moment of the wedding day, so take as much time as you need this month to make sure it will be exactly what you’ve envisioned. The time has finally come to send your wedding invitations! Get those out the door as soon as possible, and breathe a sigh of relief because that is a huge item to cross of your to-do list! Since this isn’t quite crunch time yet, use this month to meet with or simply touch base with all of your vendors to ensure everyone is still on the same page and send as many final payments as possible. We highly recommend you meet with your photographer in person or via Skype to discuss day-of plans and ask any final questions. We also recommend meeting with your DJ and/or live band to finalize the playlist and provide them with songs you do and do not want to be played at the reception. After that, it’s time to party! You’ve earned every bit of relaxation and fun your wedding party has in store, so live it up at those bachelorette/bachelor parties and let the stress of wedding planning melt away for the night (or the entire weekend). Next month is crunch time, so rest up now! It’s crunch time, baby! You’re officially 1 month away from the best day of your life, and this is the month that all of those details that are still on your to-do list will be checked off. Most importantly: get your marriage license! Laws vary from state to state and country to country on how far out you need to get your license, so make sure you know the ins and outs of making everything legal. In addition to getting your license, you’ll want to schedule your final dress fitting and buy all the accessories you need, decide if you want to change into a reception dress (and buy one if you do), create your day-of timeline, create your seating chart, and buy gifts for everyone on your list. You should also have received lots of RSVPs by now, so update your spreadsheet, call anyone you haven’t heard from, and prepare a final list for the caterer. You’ve made it to the home stretch and that blissful day is within sight! As you get yourself into the right mindset for your wedding day, there are just a few last-minute things to cross off your list — or to delegate to your friends and family. 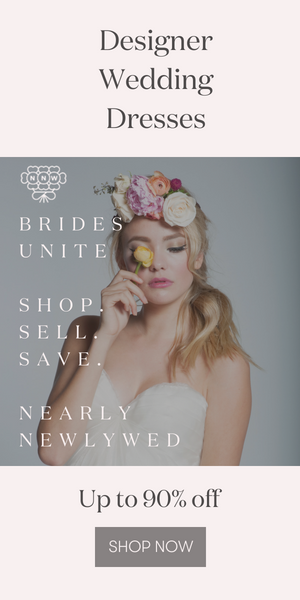 This week, spend your time circling back with vendors, the wedding party, and any other family or friends who need to be in the loop to ensure everyone is on the same page and knows exactly what to do on the wedding day. You’ll need to get the final guest count to the caterers, as well as plan for day-of payments. We recommend filling out checks and putting them in marked envelopes that you can easily hand off to your coordinator. Then, finally, it’s time to indulge in some last-minute relaxation, packing for the honeymoon, and getting everything together so you’re feeling your absolute best come your wedding morning! Your only responsibility on the day of your wedding is to be fully present and enjoy every minute of the day! All the details are planned, you’ve handed off your phone and email to a friend or family member, and your planner or day-of coordinator has everything under control. You just need to bask in the glow of being pampered, of spending the day with everyone you love, and of marrying your best friend. Now that you’re home from the honeymoon, there are just a few loose ends to tie up before you settle into newlywed life. Don’t worry, there aren’t many things left to do! The most important is circling back with all your vendors to ensure the balances were paid before or on the day of the wedding. If you do have any outstanding balances, this would be the time to pay them all off. Then you can move on to more important things, like opening gifts you received on the wedding day and sending “Thank You” notes! To make that process easier (and to ensure nobody is forgotten), we recommend using your guest list spreadsheet to note all the gifts you received. That way, all the information — name, gift, address — is in one place for when you start writing notes. Also, if you’re like us and love checklists, make sure to bookmark and pin this post-wedding checklist! Now that you’ve got a timeline in place, it’s time to start thinking about some details. Our ultimate guide to planning your wedding ceremony is the perfect place to start!